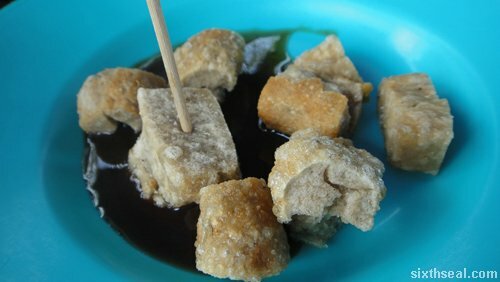 I just came back from a weekend there and tasted some of the best keropok lekor I’ve had. 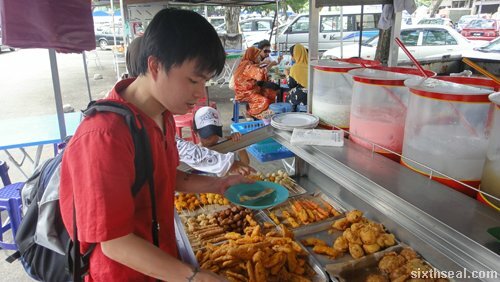 Kuantan faces the sea and there is seafood in abundance. This makes fish and the likes very cheap. 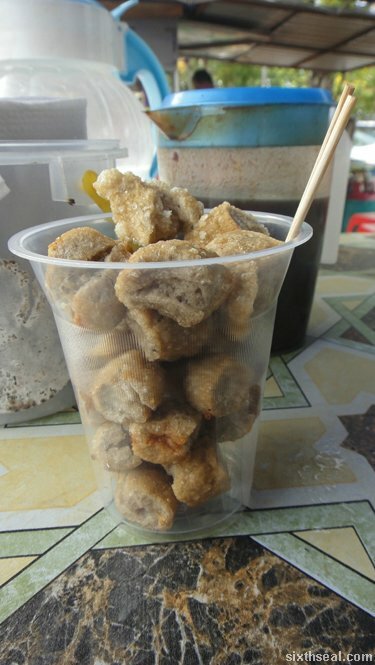 Keropok lekor is made with fish and sago before being stuffed into a casing – it’s like a fish sausage of sorts. 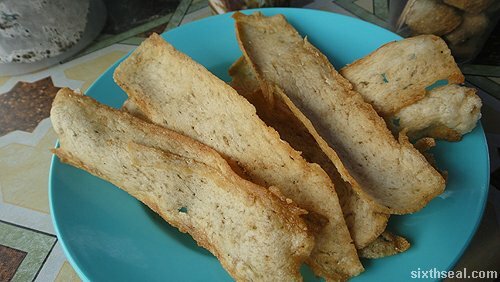 The keropok lekor is then sliced and deep fried. 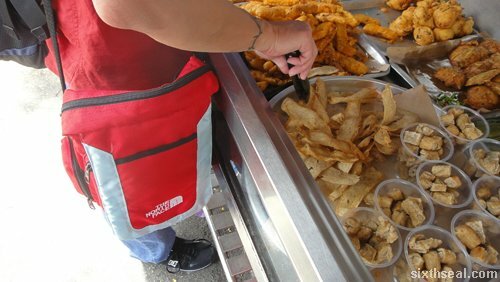 There are two version that we had but the definitive Kuantan keropok lekor seems to be the chewy type as opposed to the crispier Terengganu keropok lekor. This cup of keropok lekor sliced into bite sized pieces just cost us RM 1. It’s eaten with a type of chilli sauce that’s black in color and sweet in taste. The chilli sauce is homemade – that’s the trick that makes it taste so good. 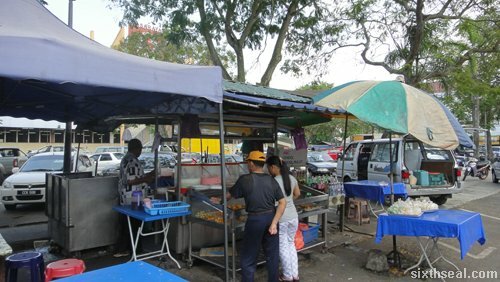 The stalls in Kuantan all have their different recipes for the chilli sauce. 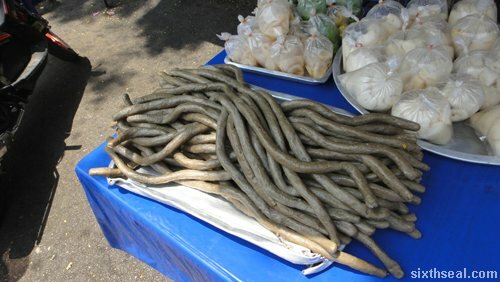 This particular keropok lekor is chewy and tastes like a sausage made with fish. There’s also another version of keropok lekor which goes for RM 1 for 8 pieces. This is the crunchy type and is the more traditional version. It’s also really good and you can really taste the fish in these crackers – it’s almost made entirely out of fish! 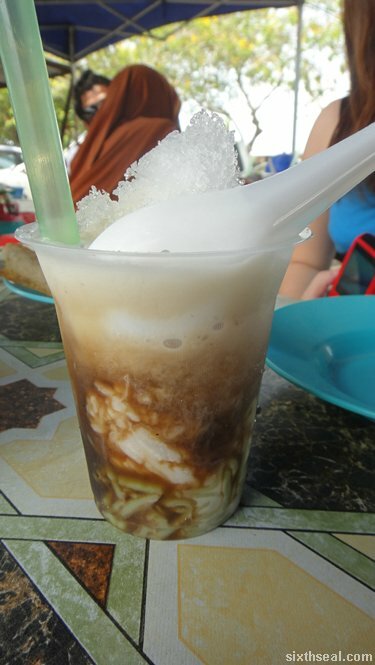 However, the best thing that I’ve had the pleasure of introducing to my taste buds in Kuantan is cendol pulut. We have cendol pulut over here, but most of them consists of a meager piece of pulut placed into cendol. 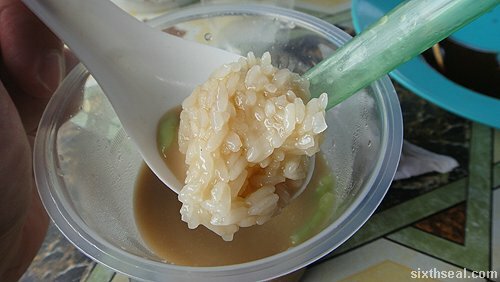 The one we had in Kuantan has HALF of the cup filled with pulut.